Berber Dressing pad Arena Sheep 50 x 70 cm. Berber Changing mat Click Sheep 50 x 70 cm. Berber Changing mat Click Stork 50 x 70 cm. Berber Dressing pad Arena Owl gray 50 x 70 cm. Berber Dressing pad Arena Owl beige 50 x 70 cm. Berber Changing mat Click Owls blue 50 x 70 cm. Berber Changing mat Dino Friends 50 x 70 cm. Berber Changing mat Dino Sheeps 50 x 70 cm. Berber Changing mat Dino Teddy Bear green 50 x 80 cm. Berber Changing mat Dino Lovely city pink 50 x 80 cm. Berber Dressing pad Arena Owls grey 50 x 80 cm. Berber Dressing pad Arena Owls beige 50 x 80 cm. Berber Changing mat Dino Owl purple 50 x 80 cm. 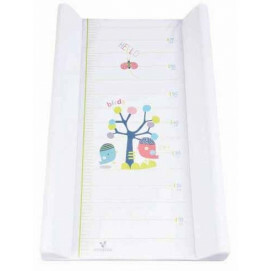 Berber Changing mat Dino Forrest 50 x 80 cm. Rest assured about the security of your child, thanks to the panels and changing mats in soft and hard options.